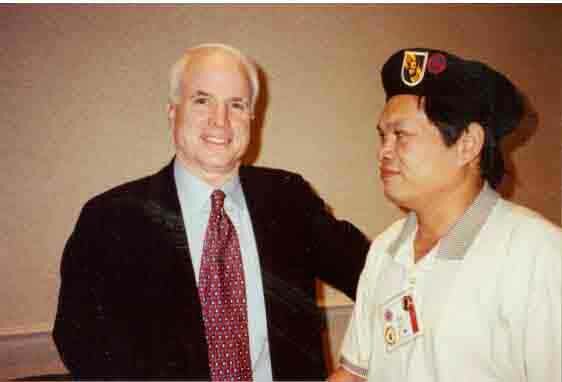 WASHINGTON (Jun 19, 1996 3:30 p.m. EDT) -- Back from the officially dead, Ha Van Son said Wednesday that during nearly 20 years in a North Vietnamese prison he never knew that the United States had declared him killed in action and stopped paying his salary to his family. During an appearance before the Senate Intelligence Committee, the former commando was shown a document that said, "This payment reflects full settlement of death gratuity and the United States government is hereby released from any future claims arising from this incident." "This is my father's signature," he said, examining the single sheet of paper. Son was one of about 500 commandos infiltrated into North Vietnam as part of a disastrous operation throughout the 1960s. Many of the commandos were killed and nearly all the others were captured and put in prison. Nearly 200 survived and now live in the United States. They have filed suit in the U.S. Court of Claims in an effort to obtain $2,000 each for every year they spent in prison. The government has asked for dismissal of the suit on the ground it involves a secret contract for a covert operation and therefore is unenforceable in U.S. courts. However, Sen. John Kerry, D-Mass., said he and other members of Congress who served in Vietnam are filing legislation authorizing the payment to the commandos. The Clinton administration supports the legislation. "The United States owes these men a debt that can never be repaid," Kerry told the Intelligence Committee. Kerry quoted a Pentagon memo written in 1969 that referred to the process of "declaring so many of them dead each month until we had written them all off and removed them from the monthly payrolls." 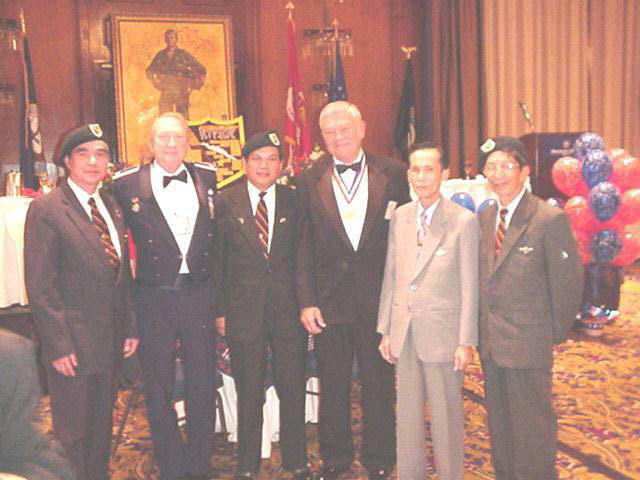 Sedgwick Tourison Jr., author of a book about the commandos, said that the deputy chief of South Vietnamese covert operations was a spy for the Hanoi government and alerted the communists each time a team was sent to North Vietnam. 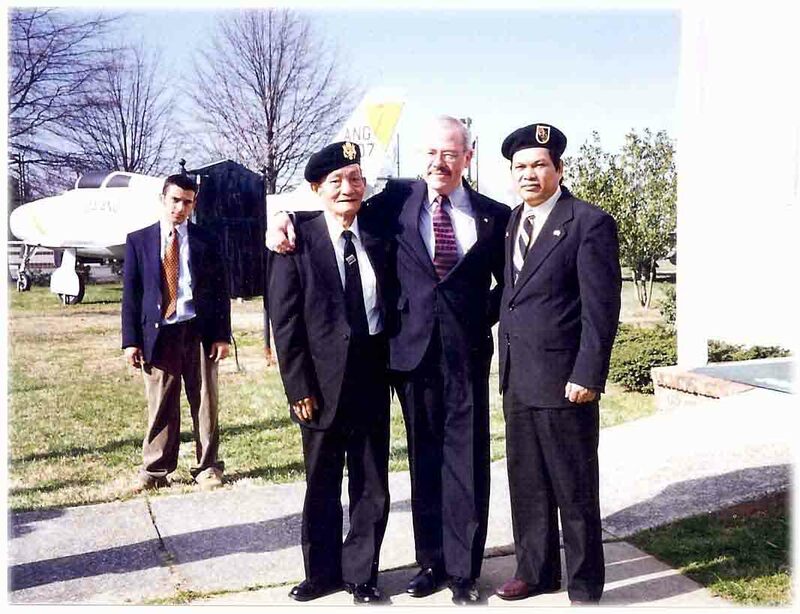 Sen. Bob Kerrey, D-Neb., who was awarded the Congressional Medal of Honor for his service as a Navy SEAL in Vietnam, asked why U.S. negotiators did not ask for release of the commandos during peace talks with the Vietnamese. The talks resulted in an agreement that eventually led to U.S. withdrawal from South Vietnam and the reunification of the country under the Hanoi government. "He was presumed dead," said retired Maj. Gen. John K. Singlaub, who served two years as commander of the group that controlled the secret operation. "Obviously, the criteria was lower for ARVN (South Vietnamese soldiers) than it was for U.S. soldiers," said Kerrey. But under questioning by Sen. Arlen Specter, R-Pa., the general conceded that Son was part of an operation controlled by Americans. With Singlaub seated immediately to his left at the witness table, Son told the committee, "Some leaders didn't think about the men who fight for the freedom." Sometimes struggling to make himself understood in English, Son said, "In 1967 after I was captured because two helicopters were shot down, when I was captured I believed the American government will take me out. "You didn't think about what you do ... How can I tell you right now, I talk about my life with everybody and with senators because I think the United States of America is a good nation." After his testimony, Son said in an interview that "my father received information from the Americans that I was killed in action." 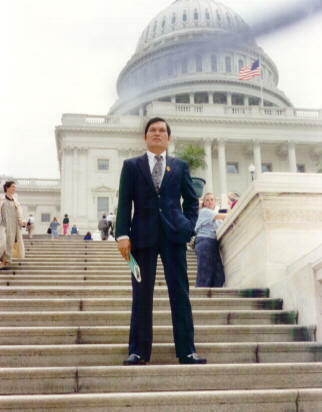 "All the time I was in prison in North Vietnam my family was my father and my mother. (I believed they) received the money month by month. But in fact, no," he said. In the 20th century alone, more than 147,00 Americans were captured and becamed prisoners of war. Of that number, more than 15,000 died in captivity. Add to this the 90,000 who are still unaccounted for, and it staggers the mind. So few Americans realize the price of Freedom. While memorials to the dead remind us of the ultimate sacrifice, how many remember to look past the facades and smiles, to the hidden scars, the memories, the physical pain, that our veterans endure daily? 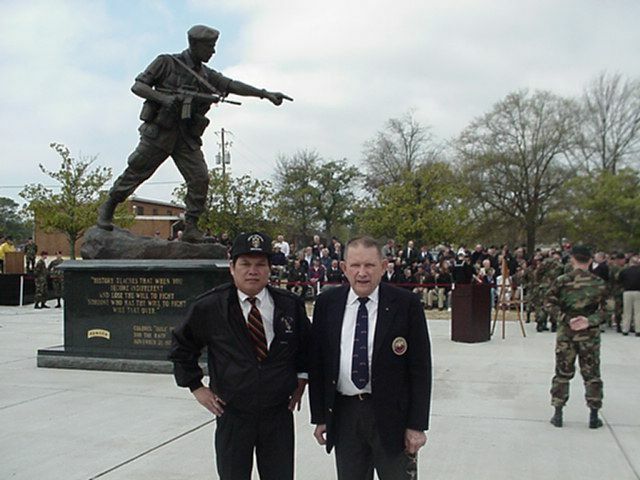 Last November, we spent time with many returned POWs from the Korean War. We got to meet more than a dozen survivors of the Chosin Reservoir. Proud men. They told stories of frozen limbs and lost friends, remembered still. Why do you care, they asked? In May, the we had the honor to meet more than 280 of our Vietnam returnees. Special heroes that came home after Vietnam. It was not until placing photos in albums, that the shock of their survival set in. The pictures of the Hon. Tom Collins were noted with "held 8 years, 4 months." Col. Bob Jeffrey's said "held 7 years 2 months." You would have never known by the handshakes and smiles. We met former POW "Pop" Kiern -- held in WWII and again in Vietnam. Some were WWII heroes. Some fought again in Korea. And they fought again in Vietnam. When we asked BGen Robbie Risner to autograph his book, he apologized to us! - my handwriting is really bad, they broke my hands so many times, he told us. 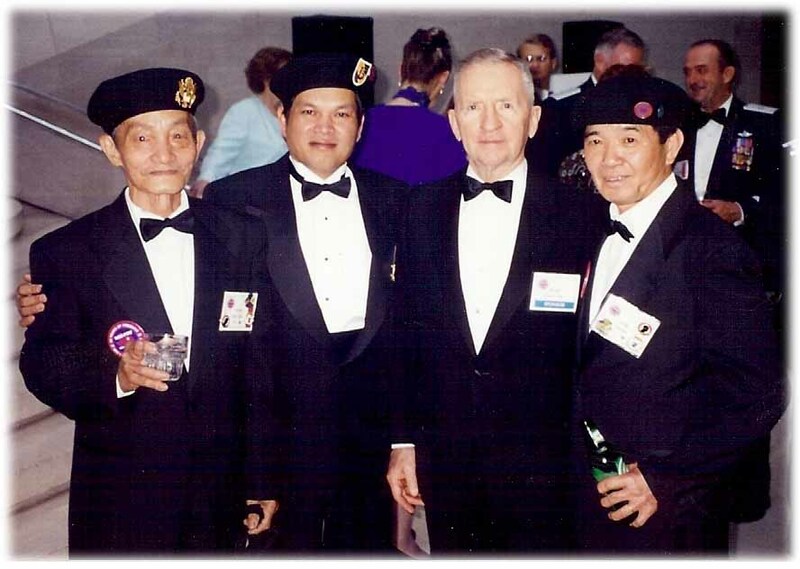 We met three special men, not realizing till after we came home, they had survived 22 YEARS in North Vietnamese prisons. 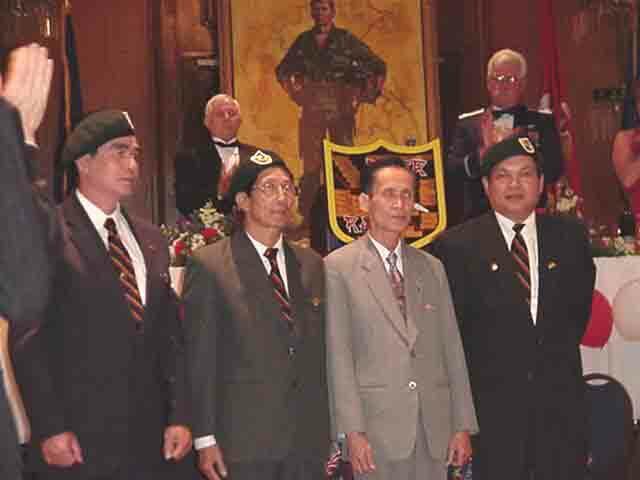 Trinh Sam, Nguyen Kien and Ha van Son were commandos. How can our government tell us our POWs could not have survived - cannot still be alive ? Freedom has never had such definition.The stars and stipes will forever more bring visions of dozens of former POWs singing the Star Spangled Banner. The P.O.W. flag -- visions of Monica Storz, talking about her dad, Ron, who died in captivity. Even the children's nursery rhyme, Old MacDonald, will forever carry the sound of Doug Hegdahl repeating the names of more than 200 prisoners, "for show" as he did more than 25 years ago. A Purple Heart pin -- will always recall visions of a room full of proud, proud, men. The price of freedom is high. A select few have paid that price for all of us. How much more appreciated this 4th of July will be for those of us that did not serve. How much more grateful for all of those that did serve, we should all be. How much harder we need to work to make sure there is Liberty, and justice, for all.